Do you like HGTV and the decorating flair of Joanna and Chip Gaines? 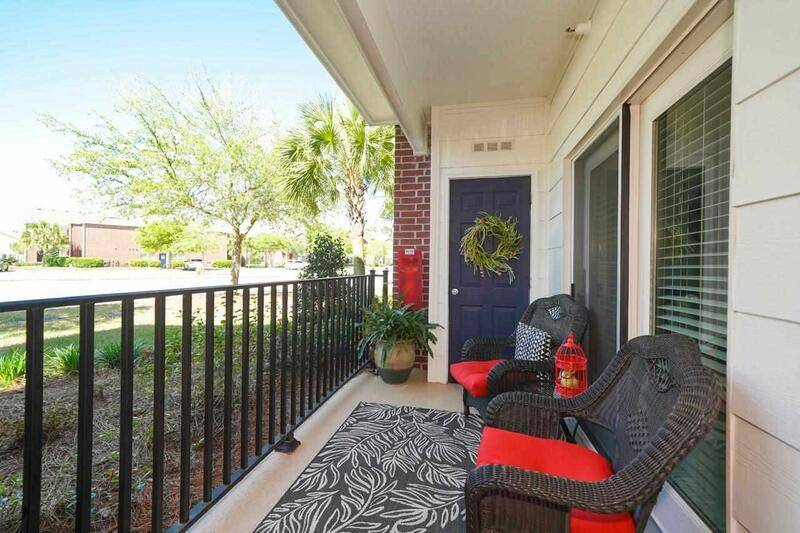 You will LOVE this condo! 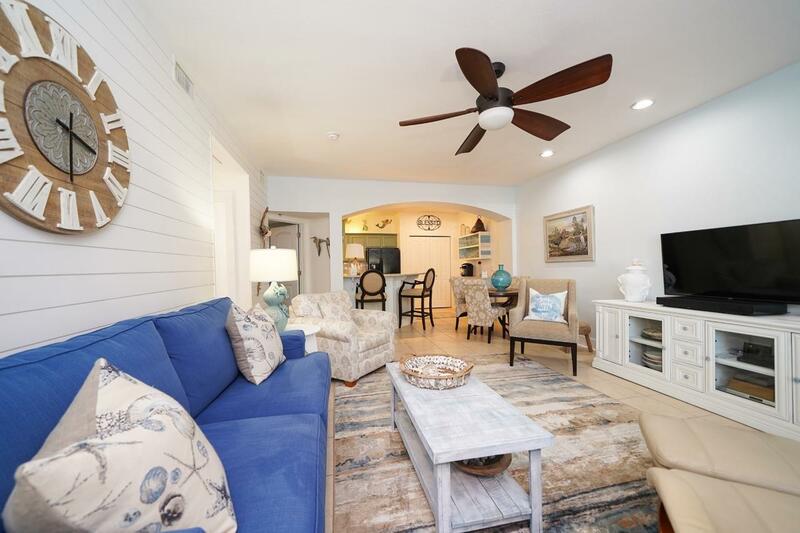 The SHIPLAP wall sets the tone of this delightful condo. 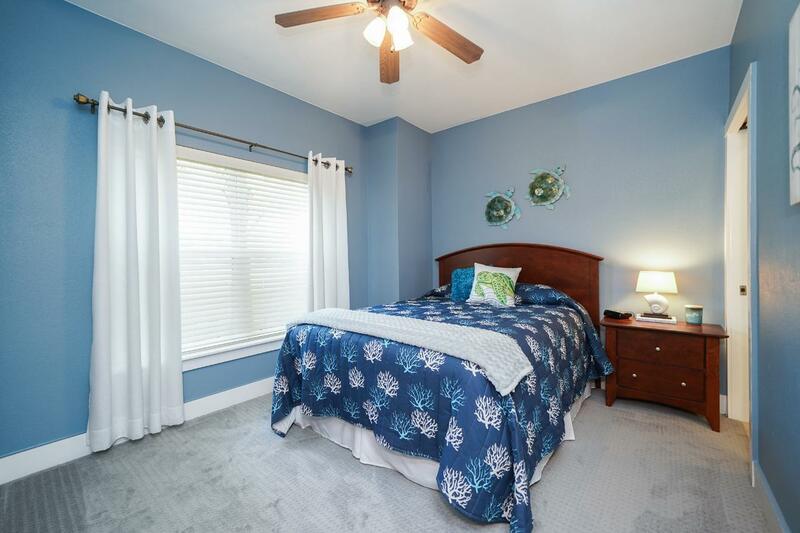 Owners have made numerous upgrades: Beautiful white granite in the kitchen and both bathrooms. New higher toilets. New bathroom sinks. Kitchen cabinets painted a smooth sea blue. Walls, ceilings, and trim painted in refreshing COASTAL colors. New carpet in the bedroom. This condo has never been rented. It is IMMACULATE. the owners take their shoes off at the front door. It is on the ground floor, in the sought-after building by the CLUBHOUSE. Each bedroom has a bathroom. There is a laundry room with a full-size washer and dryer. The clubhouse has been remodeled and is spacious and ELEGANT. Amenities include: two heated pools; hot tub; sauna; covered cabanas; tennis court, a dog park, and an abundance of sidewalks for your daily walk. State-of-the-art fitness center overlooks the LUSH, WELL-GROOMED grounds. Owners play golf for FREE. You will enjoy meeting friends to share drinks and meals in the RESTAURANT in the clubhouse called BAR 45. 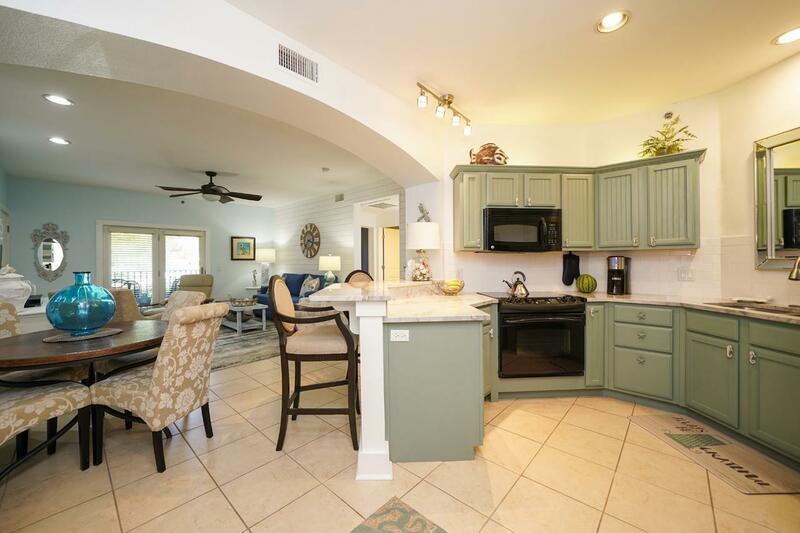 Condo owner's fee covers: Internet, basic cable, pest control, trash pick-up, Association Management, Recreational Facilities (including Free Golf for two owners), reserve funds, common area insurance, taxes, and maintenance. One Club is located near the new Foley entertainment Center named OWA, TANGER OUTLET MALL, restaurants, shopping, theaters, hospitals, doctors offices, schools, and MORE! Just a little over 4 miles to the white-sand BEACH on the Alabama Gulf Coast!